Please Note: A project involving the installation of a 24" a water transmission main in Simms Street between 70th Place and 75th Avenue is scheduled to begin the week of April 15. This project is NOT related to the 72nd Avenue Bond Project. Learn more about Simms Street Water Transmission Main project or contact Tim Hoos, Senior Utilities Engineer at 720-898-7644 or thoos@arvada.org. ​April 2019: There is no work impacting traffic on the W. 72nd Avenue Bond Project at this time. Updates regarding the projects will be provided here and on all the City's communication platforms. On February 13, 2019 bonds were issued to provide funding for the 72nd Ave. and Ralston Road projects. Over the next several months, the City's consultant team will begin performing field work to include topographic and right-of-way surveys, geo-technical drilling, environmental investigations and utility locating. Coordination efforts will continue with stakeholders, including the Union Pacific Railroad, Xcel Energy, etc. What Makes the W. 72nd Ave. Project Important? W. 72nd Ave. is an arterial parkway and a major east-west corridor for Arvada’s transportation network, serving 21,000 vehicle trips each day. It provides connectivity to major north-south corridors including three State Highways (SH-95/Sheridan Blvd., SH-121/Wadsworth Blvd., and SH-72/Indiana St). This regional corridor not only serves all of Arvada, it provides access to Westminster and Golden/Jefferson County. Major destinations served by W. 72nd Ave. include the Arvada Center for the Arts and Humanities, the Apex Center, West Woods Golf Club, Majestic View Nature Center, and regional shopping. Several school are also accessed via this corridor, including Oberon and North Arvada Middle Schools; Lincoln Academy; and Campbell, Van Arsdale, and West Woods Elementary Schools. The Citizens’ Capital Improvement Plan Committee (CCIPC) twice ranked improvements to W. 72nd Ave. as a high priority. The project also meets concerns expressed in recent Arvada Citizen Surveys. And the 2014 Comprehensive Plan generated transportation models indicating that the congestion, operation, and safety of W. 72nd Ave. will deteriorate with the build-out of the City and roadways will perform at the lowest levels of service. West of Kipling St., W. 72nd Ave. shrinks abruptly from four lanes to two, creating a bottleneck. 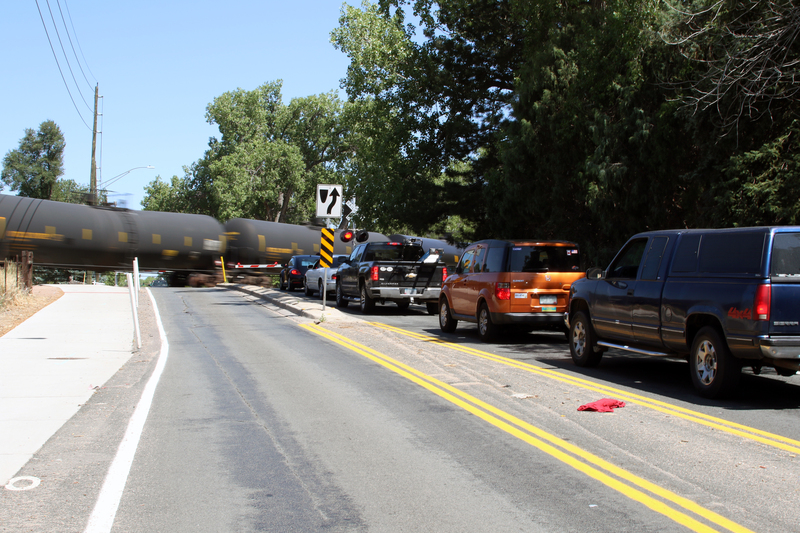 The at-grade Union Pacific Railroad crossing near Oak St. creates major traffic backups when a train passes through. The intermittent or absent sidewalks create unsafe conditions for pedestrians and cyclists. Widen W. 72nd Ave. between Kipling and Simms Streets to match the road east of Kipling, eliminating the bottleneck. 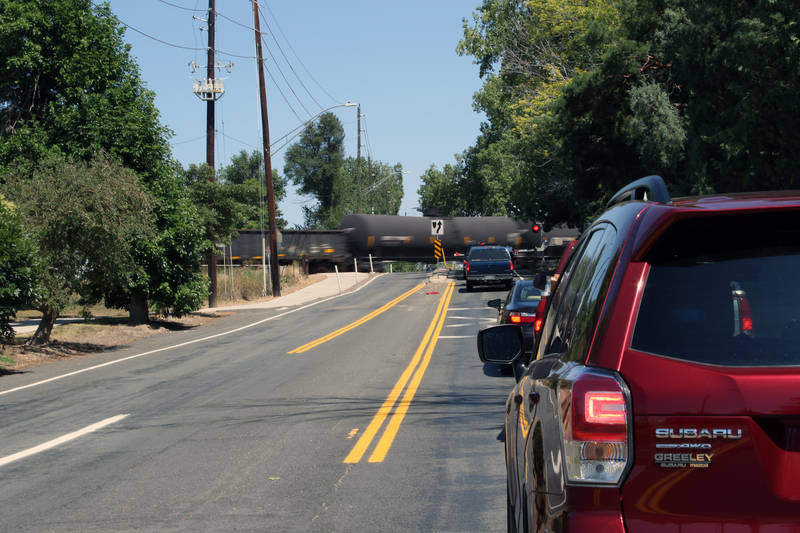 Create an underpass at the Union Pacific Railroad crossing near Oak St. to eliminate traffic backups. Upgrade signalized intersections with the latest traffic signal equipment and technology. Resolve significant drainage issues along W. 72nd Ave. This project would require the taking of several properties in the vicinity of the railroad underpass. City staff have met with all affected property owners and will continue to be open and transparent about the process. Should the project move forward, the property owners will be provided a fair market value for their property. For questions about the 72nd Ave. Project, City Engineer Derek Webb, 720-898-7746 or dwebb@arvada.org.